The very beginning of spring is a troublesome season in my kitchen. Fresh veggies aren’t available yet, and winter supplies in jars are already depleted. Fortunately, I always have a bowl full of crispy apples on my dinner table. 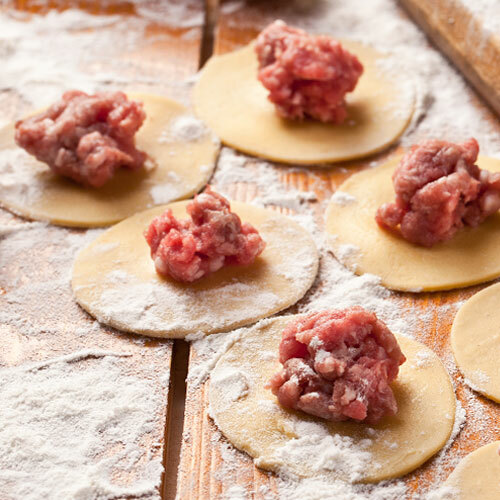 And while they make a perfect snack, they’re also a key ingredient of many family-favourites such as szarlotka or…racuchy! 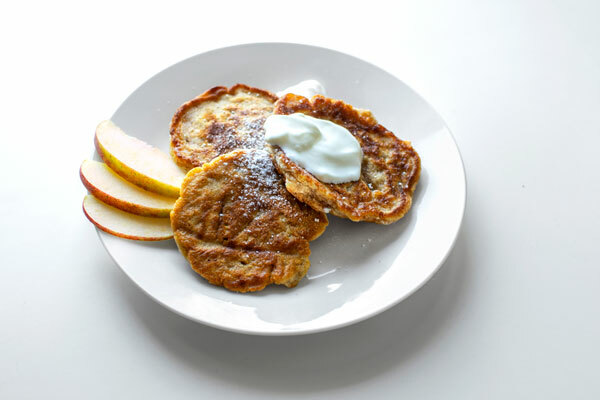 These Polish-style apple pancakes are quick to make and no yeast is necessary. They’re a staple of every Polish school canteen. I remember munching on them in preschool, lightly sprinkled with powdered sugar… and now my son eats them too! I’ve got some good news for you. 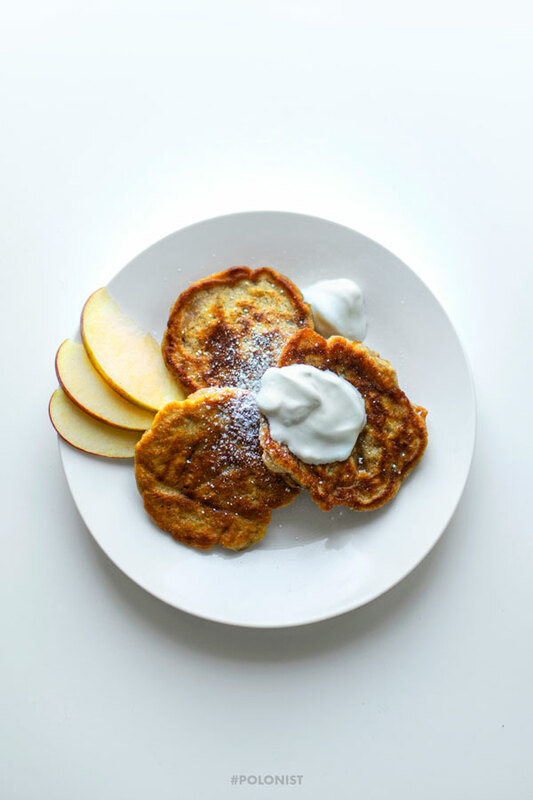 These apple pancakes are ridiculously easy to make. I’ve made them for the first time and they came out really well. I plan to cook a next batch with my 6 year old. 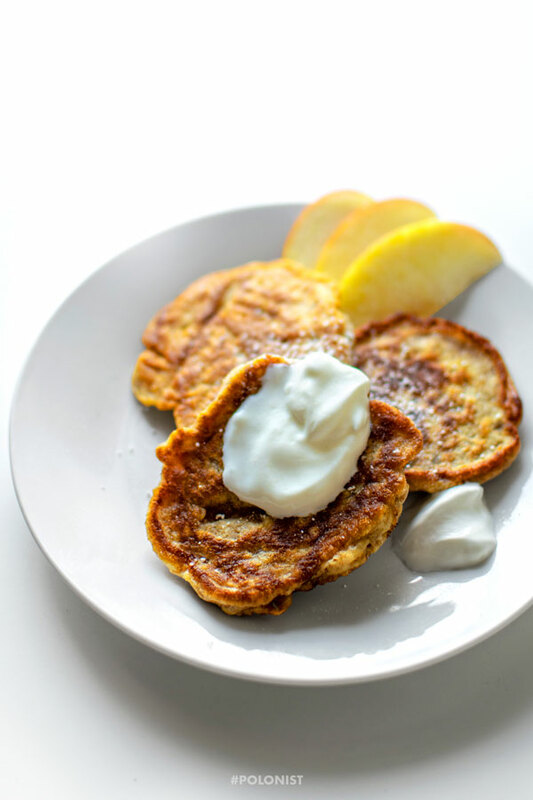 You’ll need 3-4 apples, flour, milk, baking soda, powdered sugar and some clarified butter to fry them on. In terms of tools, kitchen grater, a large bowl and a frying pan is enough. Refrain from adding more cinnamon into the batter than specified in the recipe. I added a bit too much and its flavour overpowered the apples. Experiment with the size of the apple pieces. If you keep them in chunks (rather than grating), the apple flavour will be more profound. When pouring the batter onto the frying pan, keep the pancakes as thin as possible. That way they’ll cook all the way through. Serve them warm or cold with a topping of your choice. 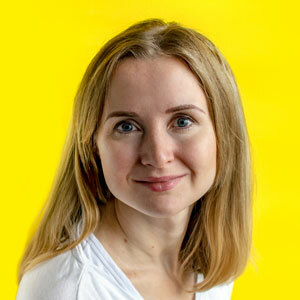 Also known as: "Placki z Jabłkami". 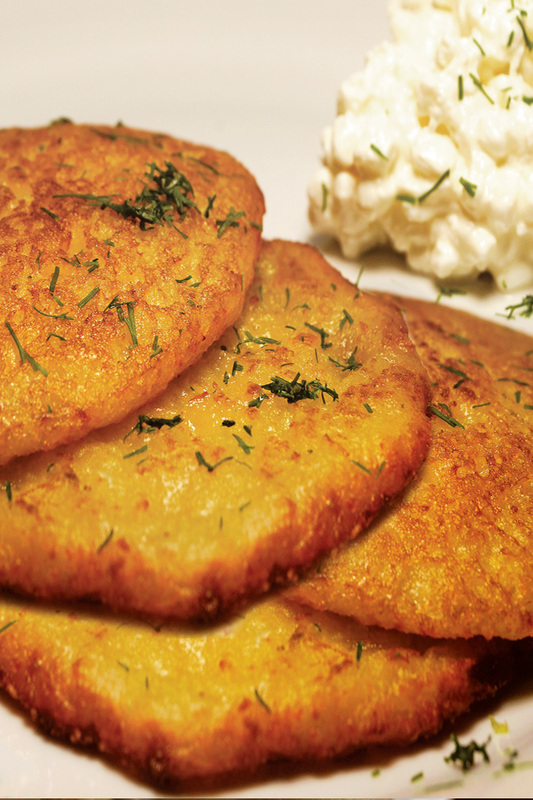 Soft and fluffy apple pancakes, a hit among youngsters. 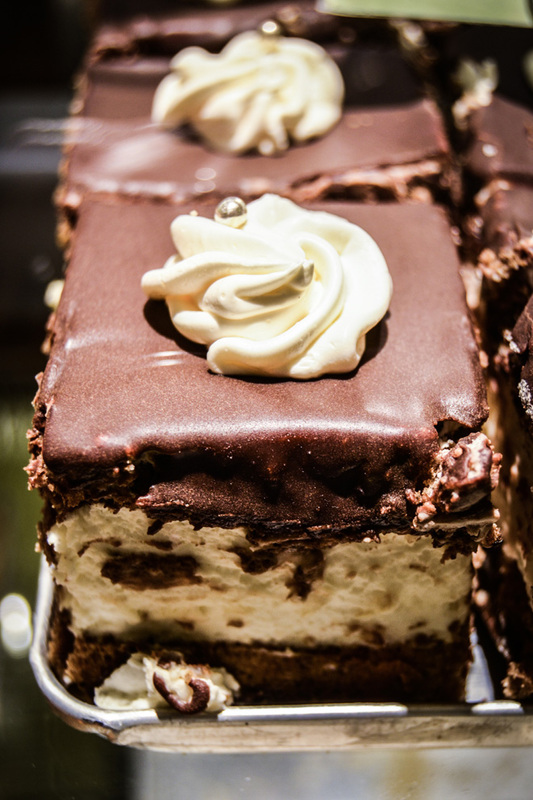 Perfect for breakfast, dessert or a quick snack. So quick & easy to make - no yeast is needed! Peel the apples. Grab each apple by the top and the bottom of the core and grate it on the large holes.Set aside. Get a large bowl. Sift the flour. Gradually pour in the milk, mixing together with a whisk (fork will work as well). Add eggs, baking soda, powdered sugar, a pinch of salt and the cinnamon (optionally). Mix everything together well. The batter should be smooth, silky and ideally lump-free. Add grated apples to the batter, blend together. Grease the frying pan with clarified butter (or substitute with canola oil). Set it on a medium heat. Fry the pancakes for 2-3 min on each side until golden. Repeat until you're out of batter. Keep them warm in a low oven as you go (optional). Serve warm or cold. Top with cream, sprinkle with powdered sugar. 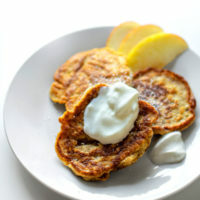 Save this Racuchy z Jabłkami: Polish Apple Pancakes recipe to your “POLISH DESSERTS” Pinterest board! And let’s be friends on Pinterest!